Thanks to the Nerf Sub-Reddit, we now have the heads up on a new Nerf item, the Z-Bat made by Perpetual Play Group. It’s being sold on Amazon by a 3rd party seller for $34.99. However, thanks to theNerfJoker and his video below, he revealed in the comments that he got his at a Target in the USA for $14.99 plus tax. You can see his overview of it below. There still aren’t too many details on it that are known, such as durability and how solid it is. 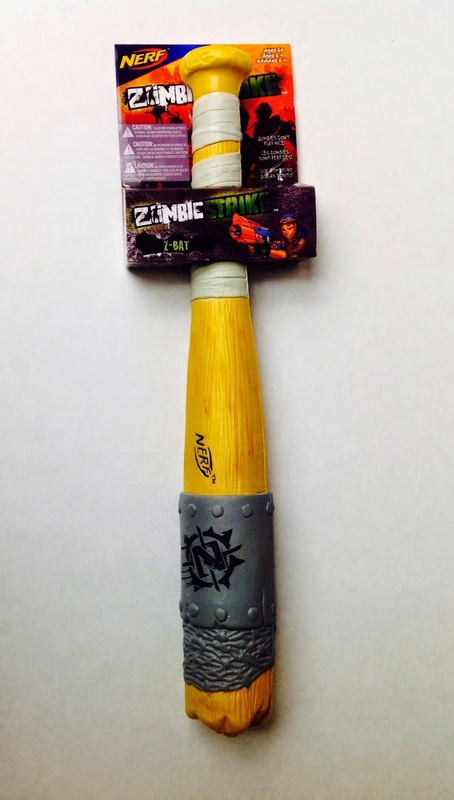 However it is about the length of the Zombie strike Machete.